Central Cottage Industries Emporium at Fort is a treasure island of sorts, if you like investing in meaningful pieces to your home. The store, located at Indian Globe Chambers near CST station, is a government undertaking and has multiple branches across the country. The purpose of the initiative is to provide livelihood to rural artisans, while putting them on a platform where they can showcase their skills and creativity. 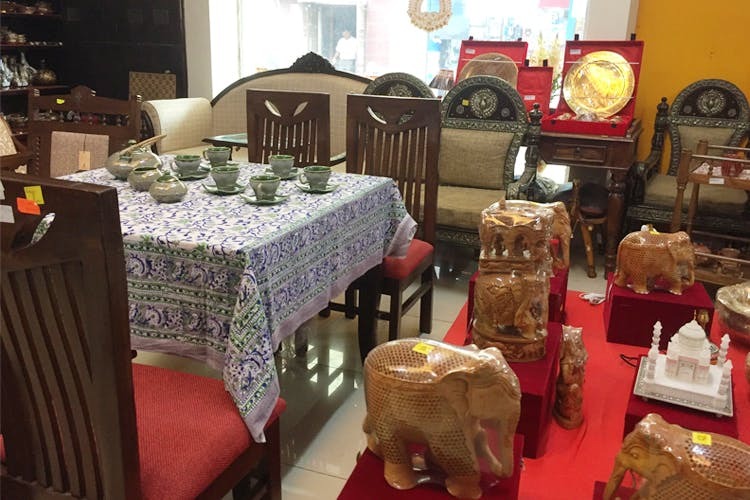 The store is spread out on ground floor and houses furniture, crockery, cushions, wooden boxes, vases, furnishings, Madhubani paintings and more. There are also wooden jewellery boxes and pen stands to splurge on. The establishment has supported the artisans from all over India. We’d go here to gather some arty stuff.